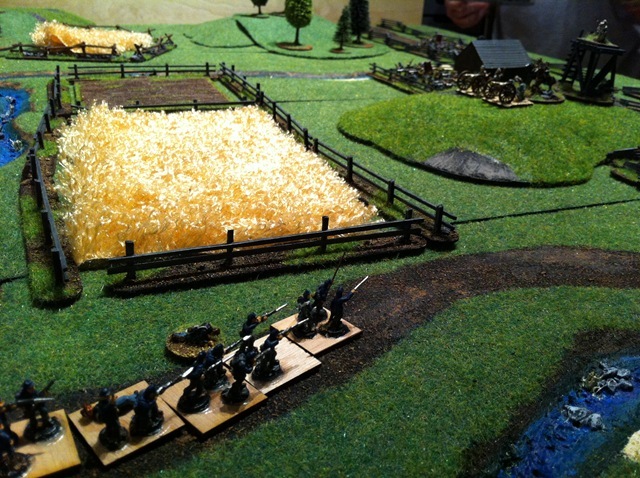 The Union forces (er, unbased) march on to attack the Rebs. Anthony and I played a little regimental Fire and Fury last night in the process of trying to learn the rules. This also meant that no work was done on the Koreans. More on them tonight I hope and perhaps over the weekend – especially as I am travelling next week – Jakarta first then back to Oz. I would like to finish the Koreans before I go so that I only have the Hungarians to finish before Cancon 2013. In the meantime, Friday night so that means … Fish and Chips.